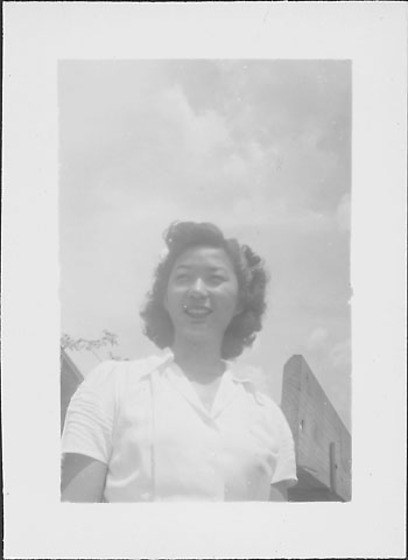 Half-portrait of a smiling young woman in white open-necked blouse with open sky above at Rohwer concentration camp, Rohwer, Arkansas, 1942-1945. Small white flower in her hair, proper R. Wooden plank, possibly side of truck bed, visible behind her at BR. Appears to be the same woman in 97.292.6AI, 6AJ, 6AK, 6AO.